Samsung Galaxy S8+ 64GB is Now Available for $689.99 (unlocked). Plus Free Shipping! Samsung is one of the leading brands in consumer electronics and information technology. Samsung was established in South Korea in 1938. The Samsung Group is now a massive international business with over 80 subsidiaries. These include construction and engineering firms, a life insurance provider, a hospital, and hotels. Samsung has a global presence and has offices in the United States. 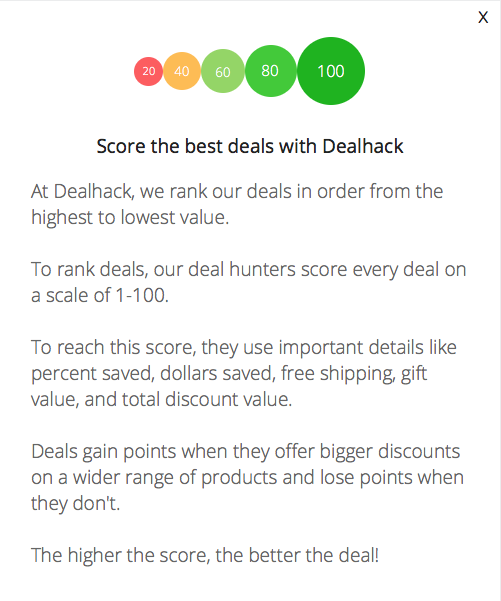 Our mission here at Dealhack is to offer you the best Samsung coupons and promo codes. Find the best offers right here on this page or continue reading to learn more. Phones and tablets in the Galaxy series are the company’s top-sellers. These cutting-edge products have features that make work, entertainment and communication so much easier. Samsung devices come in a variety of technical specifications. You can find a variety of screen sizes, colors, and other features. You can also see customer reviews and ratings for each product. Samsung also partners with major telecommunication carriers such as T-Mobile, Verizon, AT&T, and Sprint. You can set up your phone or internet services directly from their site. Durability, innovation, and convenience are the hallmark of Samsung products. These qualities are why Samsung is the go-to brand for electronics. Did you know that some Samsung smartphones and tablets are water resistant? Crazy, right? Aside from its flagship devices, Samsung also offers home appliances. Find items such as washing machines and refrigerators. The company also manufactures and sells cameras and wearable gadgets. Plus, find entertainment systems, computers, and security devices. You can choose from different product categories on the company website. If you are a genuine tech lover, browse the Smart Home section on the Samsung website. You can find items like baby monitors, sensors, and home monitoring kits. All Smart Home items can be managed from your smartphone or tablet. Keep your family protected with great items for the home. For fantastic deals, you are in the right place. Browse our entire collection of Samsung deals right here on this page. Coupons will usually redirect you to the product page where the discount will be applied. Samsung’s website highlights recently released devices and shows price comparisons for mobile plans. Be on the lookout as some of the products include time-sensitive discounts. These offers are only available in Samsung’s online store. Samsung also sells refurbished devices that are more affordable than brand-new products. Subscribe to Samsung’s email newsletter and get information about sales, contests, and product announcements. You can also check out Samsung’s accounts on social media to see the latest products and promos. Most of the great coupons on this page will redirect you to the Samsung page with the discount applied. If any offers need a promo code, copy the code and apply it before you checkout to save. What Kind Of Coupons Can You Find? We are always updating the discounts available for Samsung items. On any given day you can expect to find offers like $1,000 off LED Smart TVs or hundreds off Notebook laptops. Other offers can include percentage discounts off select tablets or soundbars and home theater equipment. Lastly, always be sure to visit the “Special Offers” section. You can find a coupon to take you to the special offers page listed above. We update the offers on this page at least once per week so be sure to check back frequently. Plus, if you are looking for a discount on a specific item, feel free to contact us and we'll do our best to help you pay less. Follow Samsung on Facebook, Twitter, Google+, Instagram and YouTube. Be the first to know about product releases, events, commercials, contests, and discounts. You can even get access to exclusive coupons and promotions. These accounts also give tech tips, highlight product features, and show customer testimonials. Do you have questions about Samsung products and services? Scroll down and click the Contact Support link at the bottom of their homepage. You can send a message by either clicking the Send Email or Live Chat buttons. If you prefer to talk with a customer service representative, just dial 1-800-726-7864. The Contact Support page also has links that let you follow up on an order or inquire about a product. Check out the company’s FAQ page for the most common questions raised by clients. You can also contact customer service via Samsung’s Facebook page. Are you ready to save on your next Samsung purchase? Grab a coupon from this page and enjoy your new electronics or appliances knowing you got a great deal. Subscribe to Samsung’s email newsletter and for sales, contests, and product announcements. Make sure you get the best deals by reading customer reviews and checking out recommended products. Save hundreds of dollars by simply going to the Samsung special offers page. Check out price comparisons for different carriers before signing up for cell phone plan. Selected products with an orange tag include time-sensitive discounts that are only available online. Samsung also sells refurbished devices that are more affordable than brand-new products. What is Today's Best Samsung Coupon? Currently, the best Samsung coupon is 'Up to $350 off Galaxy S9 or S9+ with eligible trade-in Plus Free Shipping'. There is no code required to claim this offer. Your order will arrive between 1-3 days, depending on the shipping method you choose: Express, Standard or Expedited. Samsung does not ship to PO addresses or outside the US. Make sure you or a trusted representative can sign for the package when it arrives. If you are purchasing a TV set, ask about the company’s special White Glove delivery service. You can return or exchange Samsung products within 30 days of purchase. For exchanged products, the company will first give you a refund then process a new order. If you return an item that does not have any defects, you need to pay a 15% restocking fee. You will also be charged for handling and return shipping for all exchanged and returned merchandise. However, the company will give you a refund for the product price and original shipping cost if you return a defective item. For more details, call 855-726-8721 from 9 AM to 9 PM EST.